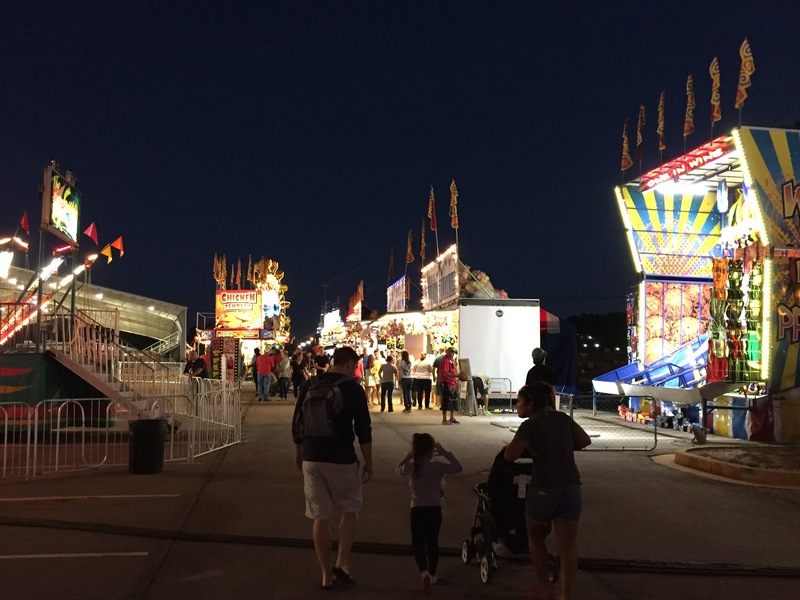 The fair was the place to be on Friday night! Right when you walk in the gate your senses are overwhelmed. You see the smiles light up the children’s faces. The delicious smell of funnel cake hits you. You hear the screams come from the thrilling rides. The only problem you have is you can’t decide what ride to get on first. My favorite ride was the Thunder Bolt. Once you get in your cart you are anxiously wait for the conductor to start the ride. Once the ride begins, it throws you back in your seat and the only thing you can do is enjoy the ride. I would defiantly say this ride is scream worthy! The food was also melt in your mouth delicious! I walked up to the cart and couldn’t decide what I wanted because it all looked so go. I finally decided on the Deep Fried Oreos. When you put the Oreos in your mouth it just melts. There are so many options everyone can find something they like. The Fair was so exciting in many aspects! It is guaranteed you and all of your friends will have a blast!